When it comes to pet rescue, everyone can do something. Patrick Desjardins had been involved for some time as a volunteer with a Colorado dog rescue. His friend, Julie, also had a love for animals and wanted to help but was unable to contribute in the same ways. During a visit, Patrick noticed that Julie was a crocheter, and suggested that she could make blankets for the dogs. The rescue was grateful and when they posted the photos of Julie’s gift, others realized that they could help too – and so began Wrapped In Love: artisans with a mission! 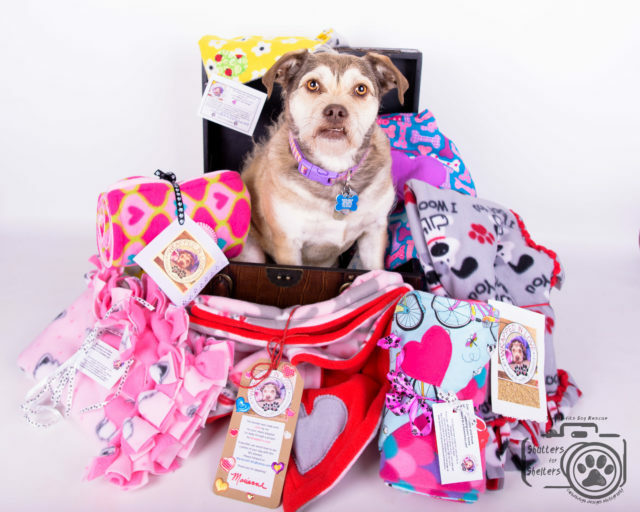 Since 2014 Wrapped In Love (WIL) has grown from a pair of friends with a desire to help to a Facebook group of over 4,000 members across the U.S. They’re skilled with yarn and fabric– whatever they have that can benefit dogs and cats in need! About once a month group administrators post the current projects and members make a pledge on their website. In just a few short years these dedicated crafters have donated over 19,000 blankets and other items (like rice socks, sweaters, bandanas and toys) for rescue animals! To some, a blanket may not seem like a big deal. But WIL Director Linda Wallace has seen many times how much of a difference just one blanket makes in the life of a shelter pet. “A soft blanket can literally change the adoptability prospects for a rescue animal. A frightened puppy mill dog, an abandoned senior, or a litter of unwanted puppies can be depressed and frightened, hiding in the back of their enclosure. 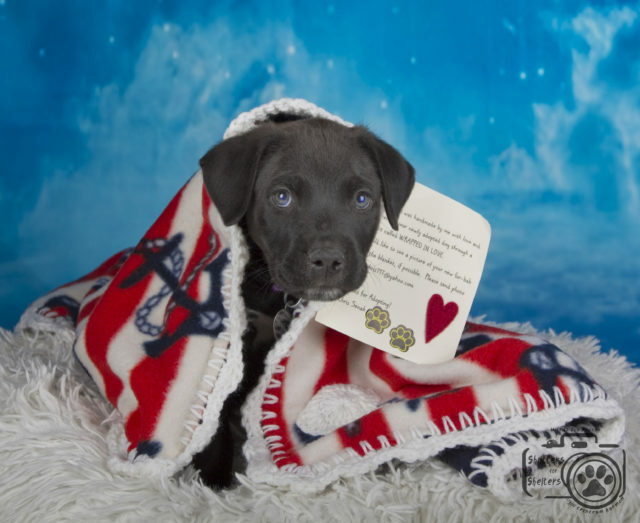 A soft blanket with which they bond can bring them out of that fear and into the front where they become more adoptable. Each blanket is made by kind hands and includes a heart somewhere on it to represent the love that went into it. It’s sent off with a donation form and a letter from the creator with warm wishes. 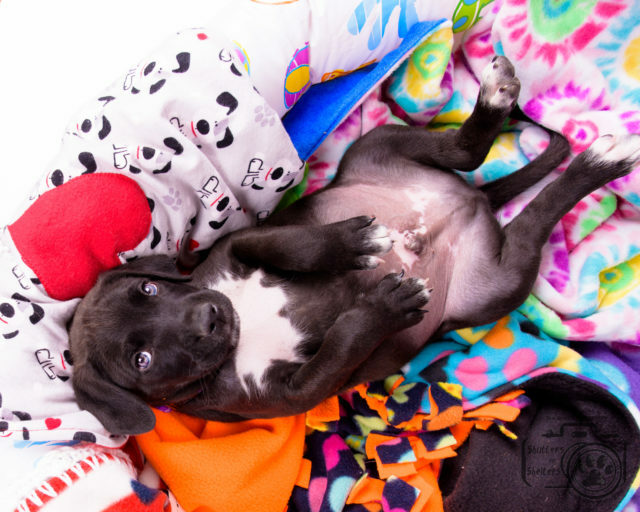 WIL is a success, but they’re dreaming bigger – because bigger means more shelter dogs and cats with blankets! “Since we have accomplished what we have done in under five years, my vision for the future will always be more. More rescues, more members who are actively hand making items, more regional groups that can meet up with each other and inspire each other, more of a web presence. Everyone can do something – it’s the belief that became Wrapped In Love. If you’re ready to turn your yarn or fabric stash into love and kindness for a shelter pet, you can join Wrapped In Love. Click here to visit Wrapped In Love on Facebook!